Looking to get a little sweet with your meat? Pecan pellets are similar to Hickory Pellets, but are on the mild and sweeter side with a nut after-taste. 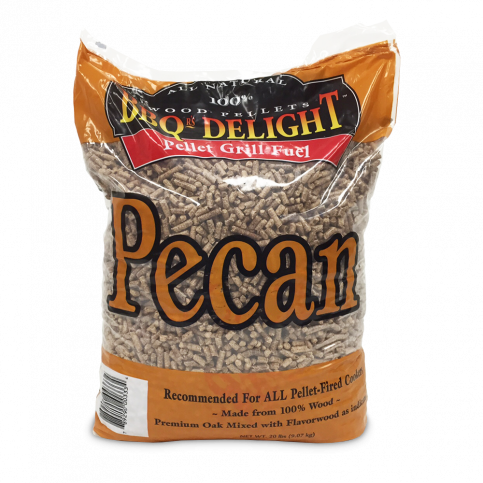 BBQr's Delight Pecan Pellets are a blend of 1/3 pecan wood and 2/3 oak wood that together will add moisture and a thick layer of flavorful smoke to your food. Get your cooking on the sweet side. This product comes with (2) 20lb bags with a total being 40lb.